lowering springs have never got it done for me personally. 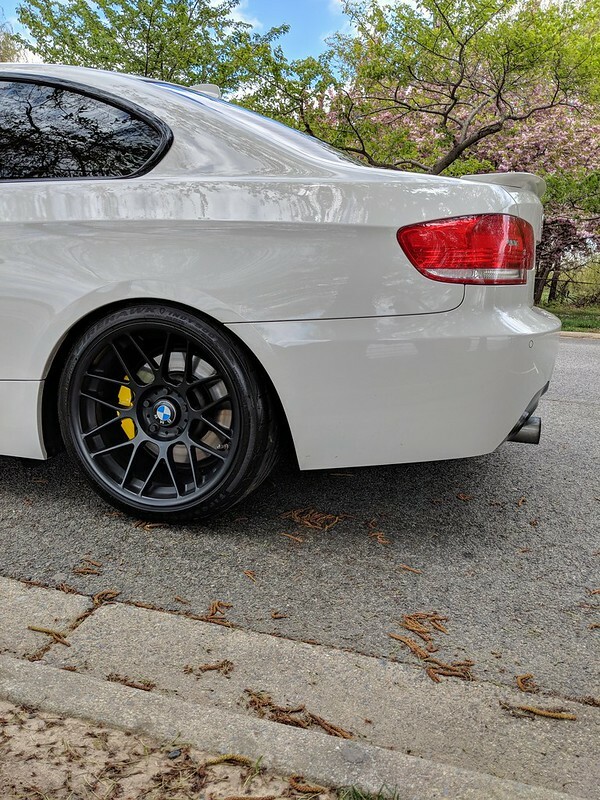 There will always be a subtle difference in ride height and there's nothing you can do to adjust. However, springs are definitely a more cost-effective option and yields great results, even to the trained eye. Last edited by b92; 10-30-2018 at 01:59 PM. Man I have the same exact issue. The rear with my spacers now fit perfectly but the front has that odd fender gap look. 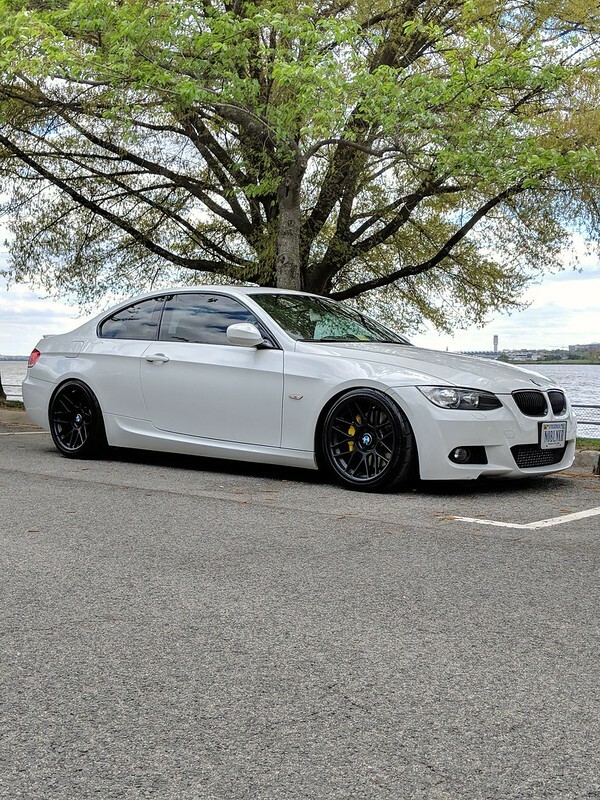 If lowering is all you want, coilovers is the way to go. BC is my first choice for any vehicle, and under a grand. Not sure about coilover cost...for street usage I would keep it simple with springs. coilovers all the way. cost shouldn't be an issue, its a bmw. springs are a waste of time and money for people that don't know what they are doing. I would recommend KW V1's instead as they have been approved by German government for road use and have been designed specifically for the E9x chassis. BC only has 3 dampening profiles throughout all their applications so they don't 100% cater to the car - probably just curb weight. BC also has a crazy aggressive high speed dampening spike which is a little shocking. Wheel & tire sizes? Fitment & stance are money! 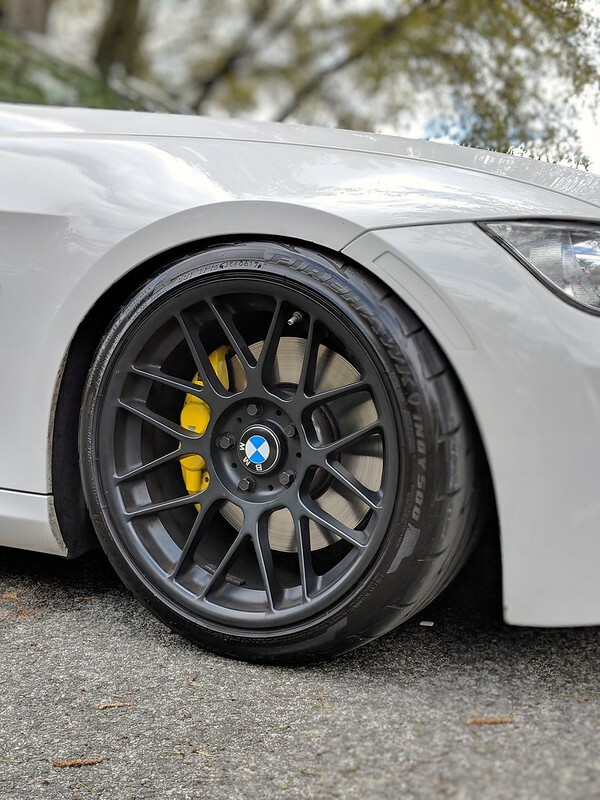 Apex ARC-8 18x9.5 ET35 255/35/18 squared. 10mm spacers all around. Are the spacers to clear suspension or just for looks?? To clear the front strut. So I added one in the rear to make it looks like the front. You sure you don't mean the opposite? Coilovers are at best 4x as much as springs alone. Honestly you don't want to be riding on sub 1,000 coilovers IMO. 99% of people don't know how to properly set up coilovers. Most just lower to what they want for a visual, play with the settings once or twice and that is it. That is not how you set up coilovers. Also, most people buy coilovers with the idea they are going to adjust the ride height. From my experience people set it once and never adjust again. If you aren't going to corner balance or be changing your ride height why get adjustable coilovers? Springs work great for most people. It's basically impossible to install or use them wrong unless you put a lot of preload on them. OP if you never plan on tracking/draging your car just get springs. Get some struts too if you have the spare $$$. I've been on lowering springs for 4 years. I am only upgrading my suspension to coilovers and all the arms/bushings/etc. as I need to because of the power I am putting down and my goals have shifted. A lot of this comes down to how much you are ready to spend and your goals. If its for looks and slight performance improvement get springs.